An anthology of 320 poems. Discover Chinese poetry in its golden age and some of the greatest Chinese poets. Tr. by Bynner (en). « The Three Hundred Tang Poems (Tang shi sanbai shou, 唐詩三百首) were compiled by the Qing scholar Sun Zhu 孫洙, also called Hengtang Tuishi 衡塘退士 "Retired Master of Hengtang", and published in 1764. Sun was not very pleased with the poems of the anthology Qianjiashi 千家詩 "A thousand master's poems" (late Southern Song) because of its lack of educational spirit. His own compilation became so popular that it is enclosed in a corpus of books that are found in almost every household still today. Sun's intention was to elect poems that serve to cultivate the character of the reader. Today, there exist some new compositions of three hundred Tang poems containing different opera, because the Qing time attitude to poetry as educational instrument has changed until today. Sun Zhu has divided his anthology into six different styles, comprising old style poems (gushi, 古詩), regular poems (lüshi 律詩) and short poems (jueju, 絕句), both with five and seven syllable verses. Between the particular sections, poems in the style of the old Han Music Bureau (yuefu, 樂府) are inserted that were still in use during the Tang Dynasty but gradually lost their original character and disappeared during the latter half of Tang. » See Chinaknowledge's page about poetry from Tang to Yuan. Chinese text and Bynner English translation found at Chinese text initiative. Almost all the poems have been translated by Witter Bynner in The Jade Mountain: A Chinese Anthology (New York : Alfred A. Knopf, 1929). Les quelques traductions françaises du Marquis d'Hervey Saint-Denys qui correspondent au recueil ont été ajoutées dans la base de donnée. Voir le texte complet des Poésies de l'époque des Thang. 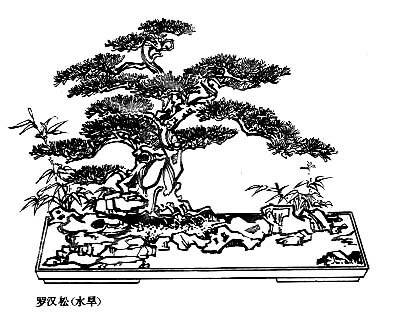 English Wikipedia : Chinese poetry, Li Bai, Du Fu. 循环 circle 不可 shall not 寻 seek. A closed circle is not what we should seek for. Thats the opposite of the above translation, no? oh and by the way. it's the year 2009 here, same in france? 桂花 (桂華) according to the 汉语大词典 is 木樨, Osmanthus fragrans from the family of Oleaceae (olive tree). this couplet does not seem accurate to me. Isn't it rather that the chaste girl is buried with her husband and gives up her life to be like the above-mentioned? Hello, I'm a college student from Taiwan! That's really nice to see how plentiful infomation this website gives. I think neither China nor Taiwan wouldn't have so wonderful website like this. Hope you really enjoy Chinese Classic Poems! I am disturbed by the translation of the last line–where does "storm" come in? Does lau-yan-bo refer to Lake Dongting? Wuding means "un-fixed" or "shifting" and probably refers to the fact the sands in the desert shift, causing rivers to change course. Qui sait combien de fleurs sont tombées cette nuit ? Dreams of them enter, like men alive, into rooms where their loves lie sleeping. The above translation was embellished with some "poetic license". they were the very people dreamt of in ladies' bedchambers. — Sous la pinède, interroger le disciple. — parcourant seul le coeur de cette montagne. — Un nuage sombre isole du monde. Attention, seuls 310 des 320 poèmes sont traduits par Bynner. D'après la source, les numéros 1, 3, 39, 40,42, 83, 84, et 190, 191, 193 sont d'autres traducteurs. Alias Tang Shi San Bai Shou, Three Hundred Poems of the Tang Dynasty, Poésie des Thang. Welcome, help, notes, introduction, table.